Millions of refugees are struggling to find a place to call home. Climate change will intensify this crisis as more and more people leave their homes to find habitable conditions or become displaced due to extreme weather. 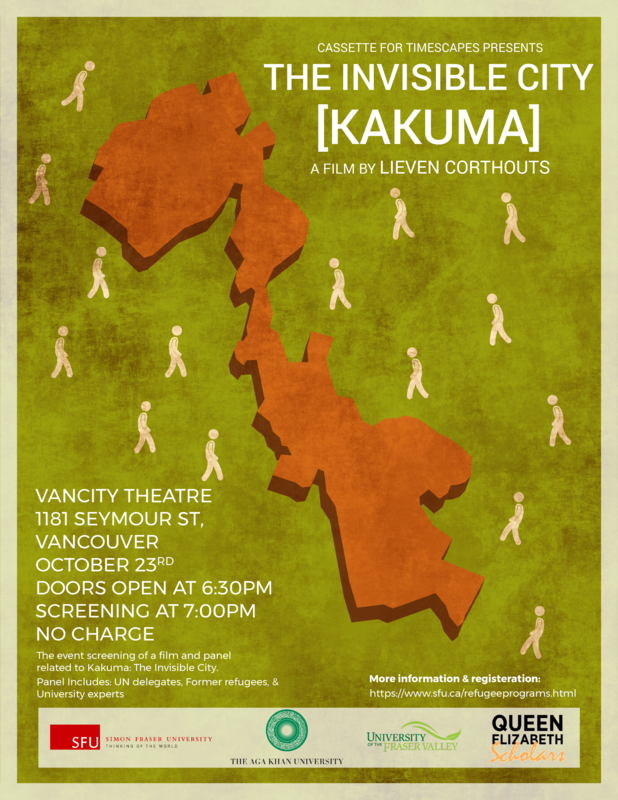 Join Simon Fraser University for a film screening of The Invisible City [Kakuma]. This film documents life in the Kakuma refugee camp in Kenya, highlighting the resilience of children and youth in the camp. The screening will be followed by a panel discussion with UN delegates, former refugees and academics. For film details visit: www.theinvisiblecitykakuma.com/.